Everyone at Smith’s Wood Academy are absolutely delighted that one of our students, Tamzin Clarkem, succeeded in winning this year’s Solihull Borough Council’s Carpet Bed Theme competition. The theme was “Thank You”, in support of the British Legion to commemorate the sacrifices made in World War 1 in the 100th year since the end of the war. 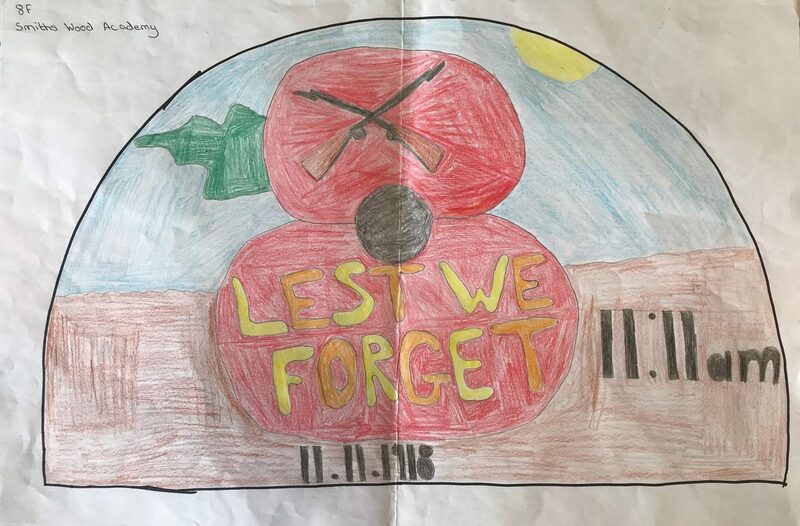 Students were invited to design a planting display for Malvern Park in 2019, and Tamzin’s work was chosen from 200 entries as the most creative and imaginative carpet bed design. It is a simple and bold design, featuring a giant red poppy to symbolise remembrance of the lives lost during the war. Her use of images and Rudyard Kipling’s poignant words, “Lest we forget”, took inspiration from English literature and her love of art, as well as her own family’s personal experiences from The Great War. Tamzin will be meeting the Mayor of Solihull later this month where she will receive a £100 voucher for the school and a “Love Solihull” goody bag for herself. Next PostNext Dodos are Dead…but not the Poets!